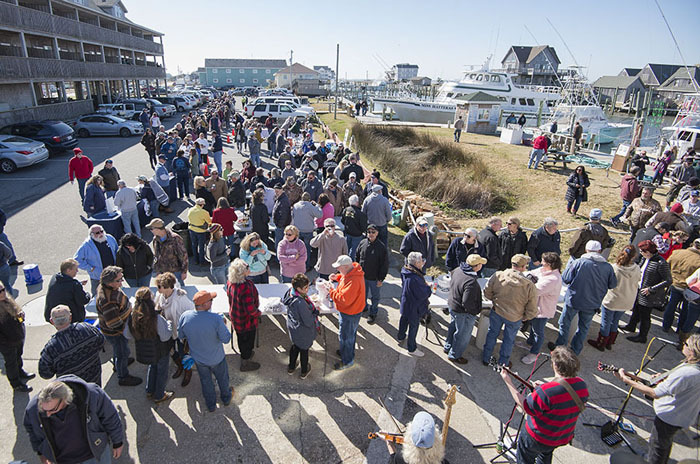 The line to the annual N.C. Coastal Federation Oyster Roast extended all the way along the waterfront of Oden’s Dock on Saturday, February 2, as islanders and visitors alike came out to enjoy the relatively warm weather and the piles of oysters in store. 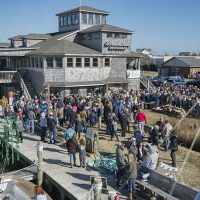 The annual event is quickly becoming one of the most popular events of the wintertime – a season that usually doesn’t see so much activity clustered in the small Hatteras village community. 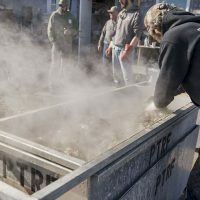 Approximately 300 online tickets for the annual oyster roast sold out several days before the date of the event, and a waiting list of roughly 50 people was reported before the feasting even began at 1 p.m. 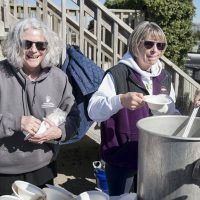 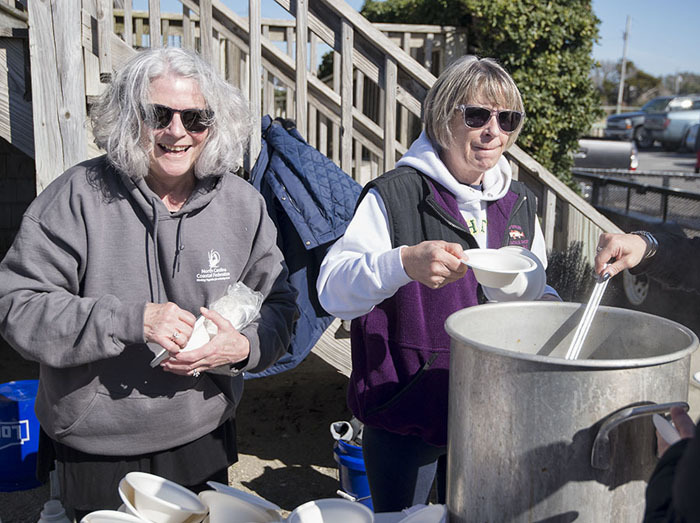 Though the annual oyster roast has sold out before, multiple volunteers and attendees alike credited the great weather, as well as old fashioned word-of-mouth marketing, for the large assembled crowd that came out for Saturday’s festivities. 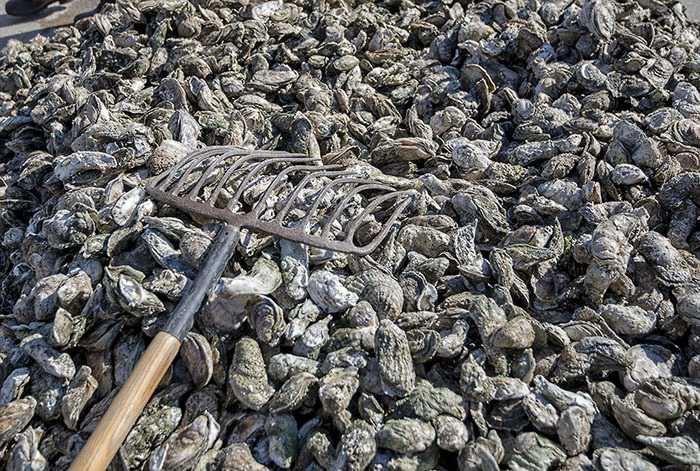 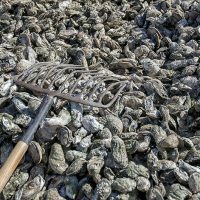 The North Carolina Coastal Federation (NCCF) hosts the annual oyster roast, which is billed as an event that celebrates local seafood and a healthy coast while supporting environmental restoration. 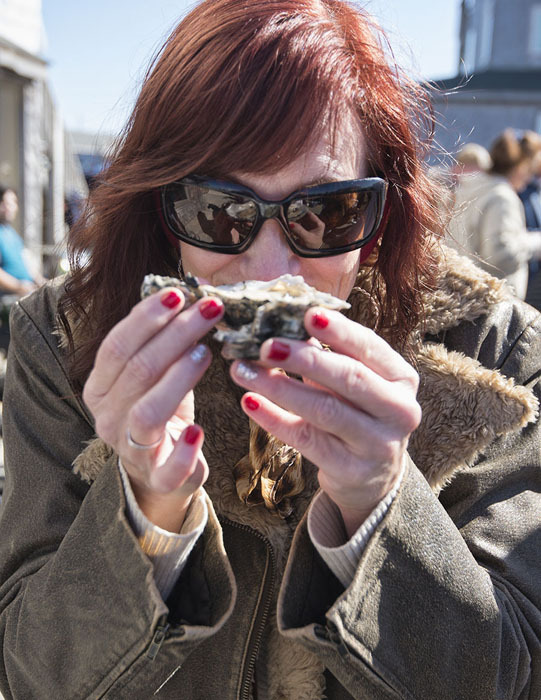 Proceeds from the event benefits the NCCF’s oyster education and restoration programs, and participation from multiple community members and businesses boost the annual feast even more. 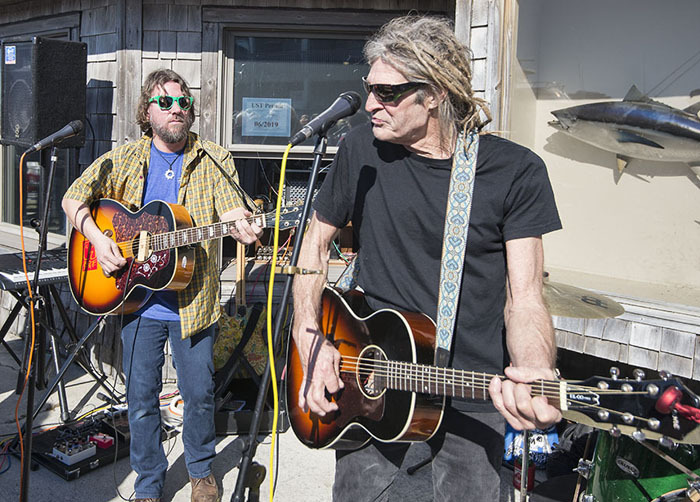 A silent auction with items donated from businesses from all across the island was also featured at this year’s oyster roast, as well as live music by Blurky’s Quirky Friends. 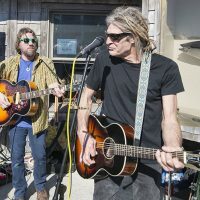 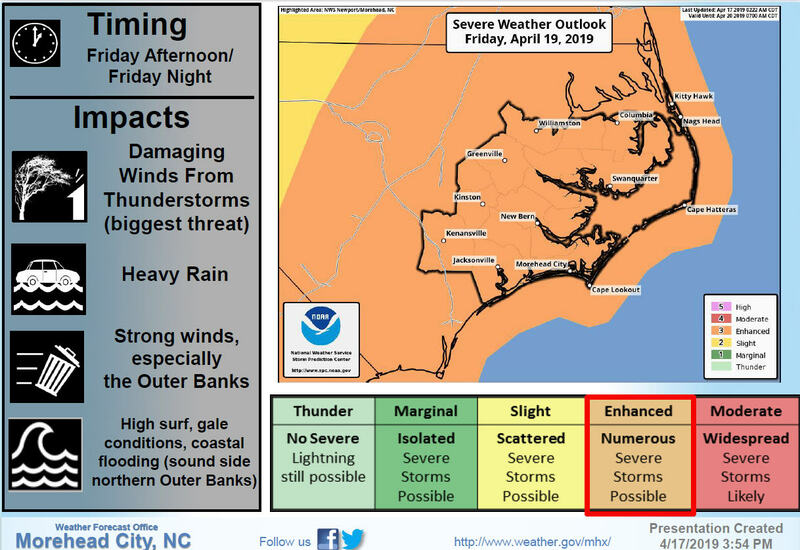 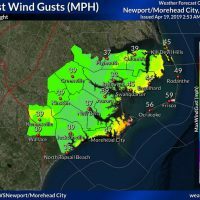 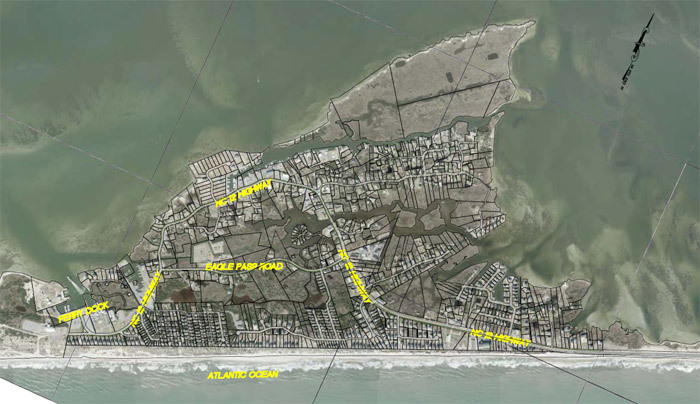 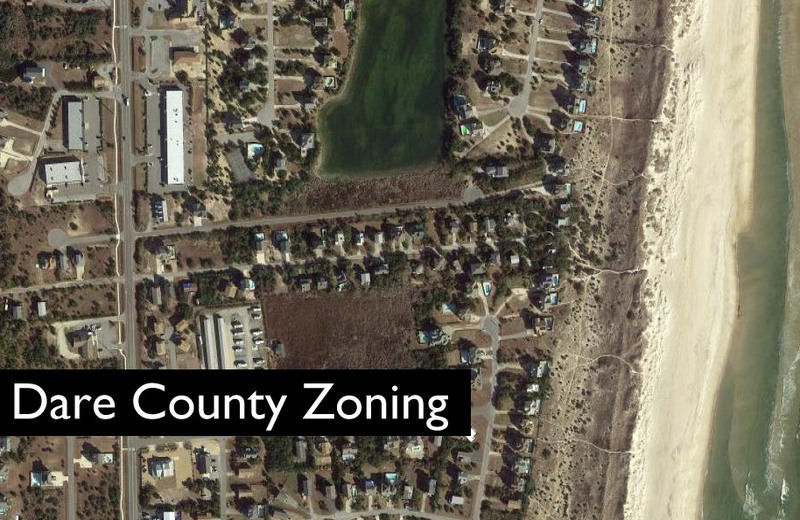 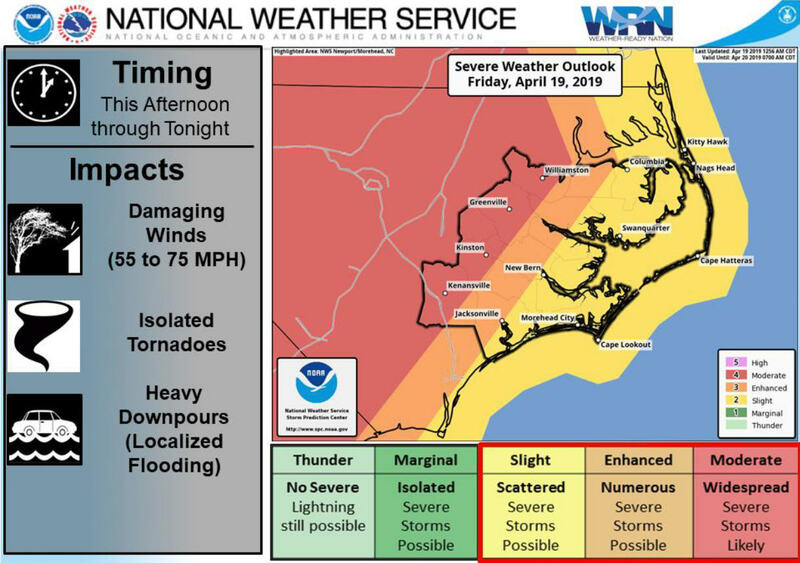 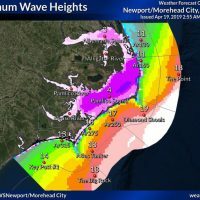 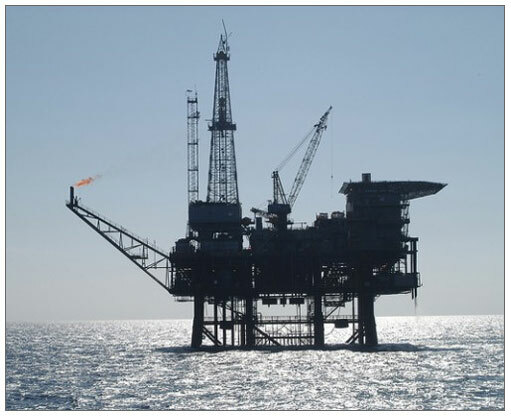 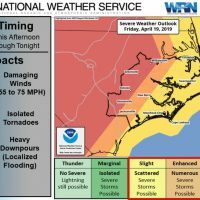 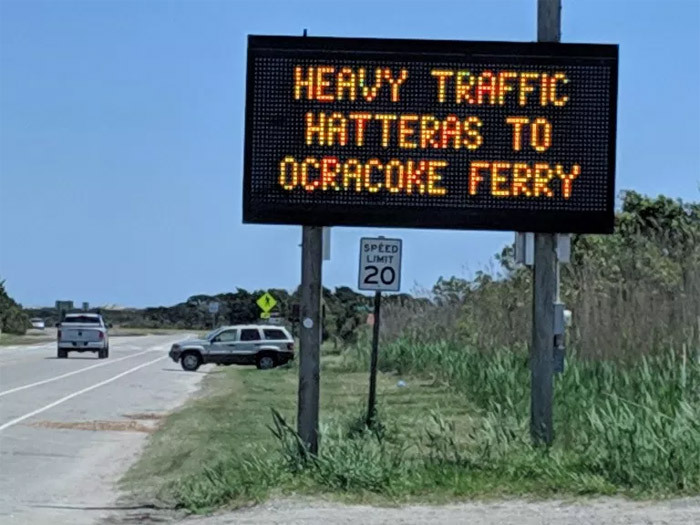 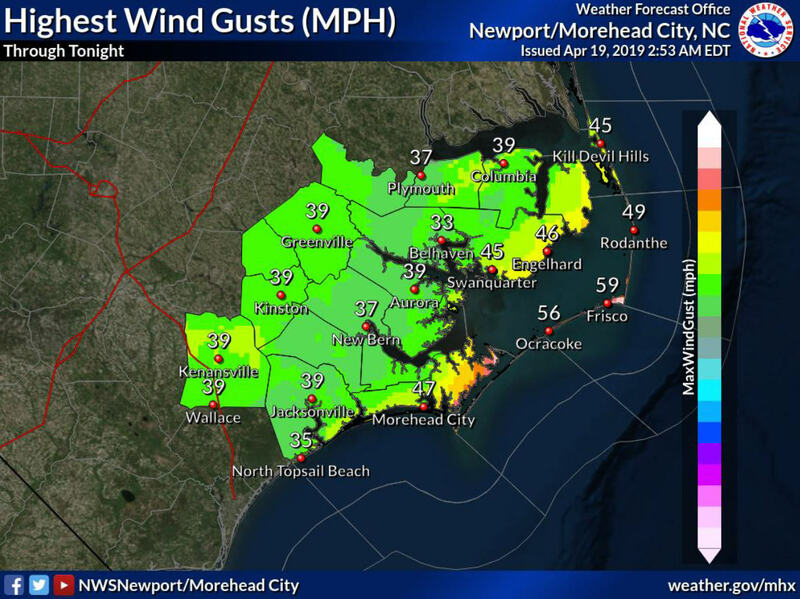 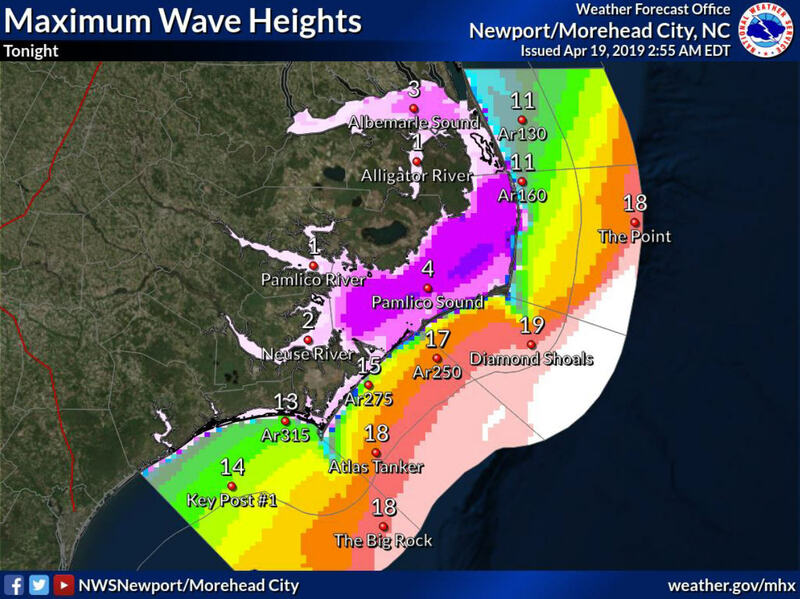 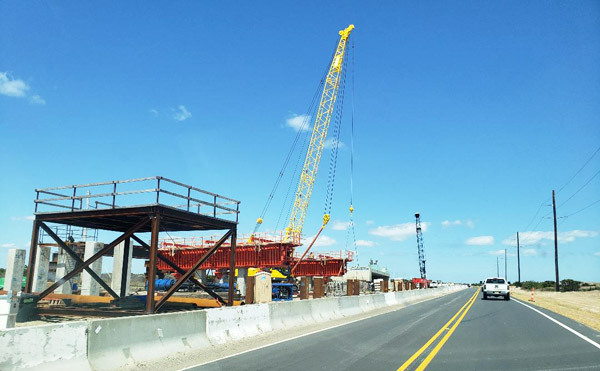 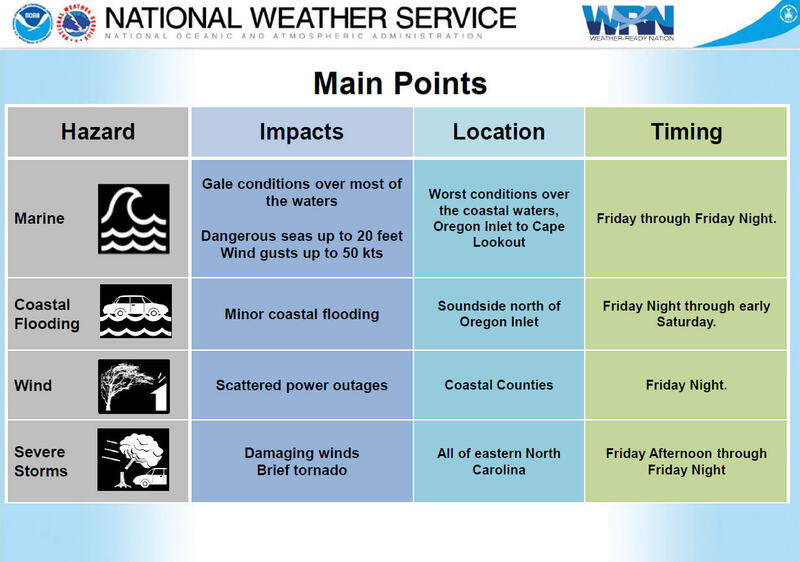 The event is also supported by close-to-home businesses and organizations, including the Outer Banks Visitors Bureau, City Beverage Company, Buxton Auto and Marine, Real Watersports and Midgett Realty. 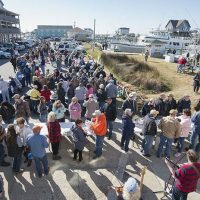 The weather certainly cooperated with this year’s oyster roast – a phenomenon that doesn’t always occur with the early-February time frame. 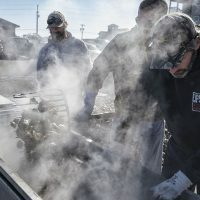 On Saturday afternoon, temperatures hovered in the high 40s and low 50s, as the steam from the piles of oysters and hot clam chowder also helped to warm the crowd. 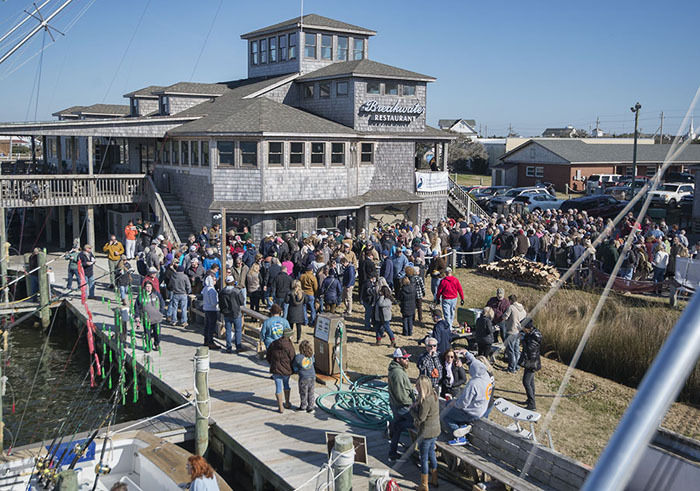 It was standing room only on the docks of Hatteras village, as locals and visitors brushed elbows while enjoying the food and the company. 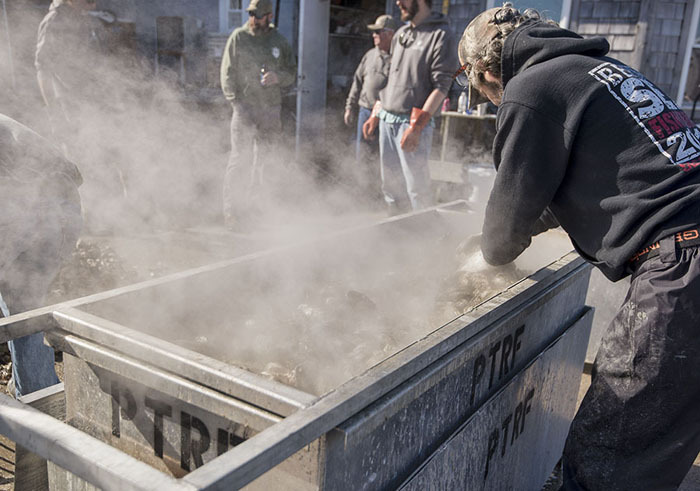 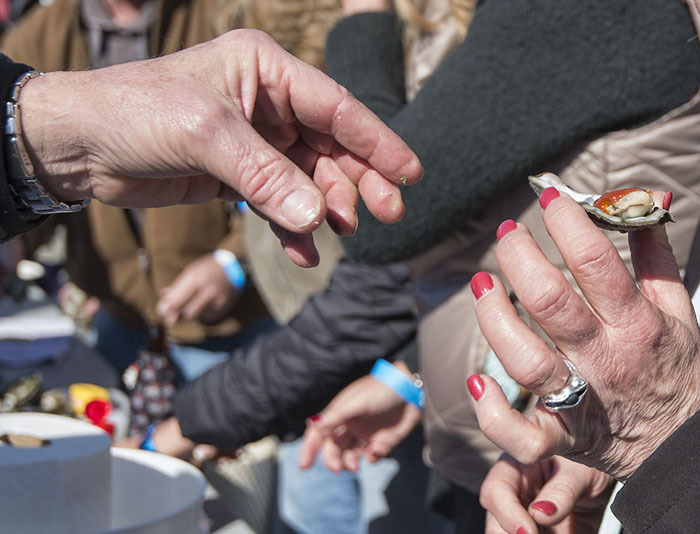 The event has had leftover oysters in previous years, but this wasn’t the case for 2019’s oyster roast, which saw a potentially record crowd attend. 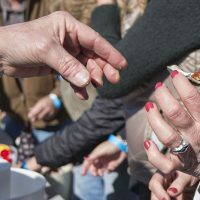 Cold beers and hot sauce were in abundance at the rows of tables close to the entrance, and most folks lingered after feasting to enjoy the music, the activity, and the waterfront views. 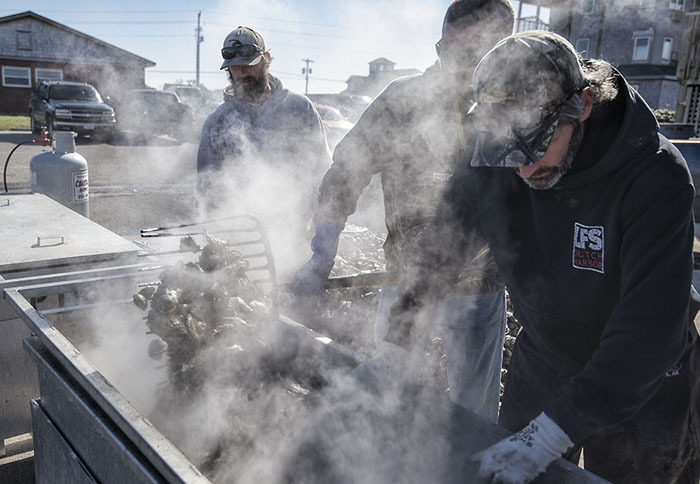 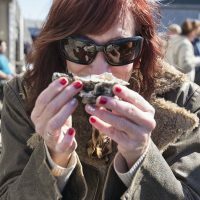 With up to 400 people attending, (a rough estimate that nevertheless felt accurate for those at Oden’s Dock), the annual Oyster Roast is a prime example of how Hatteras Island is becoming a fun, active and very popular destination in all seasons.